There has been such a big stream of great news in Lithuania’s energy sector lately that it can make one dizzy. Flip over the headlines of the last two weeks and you will see I am right. 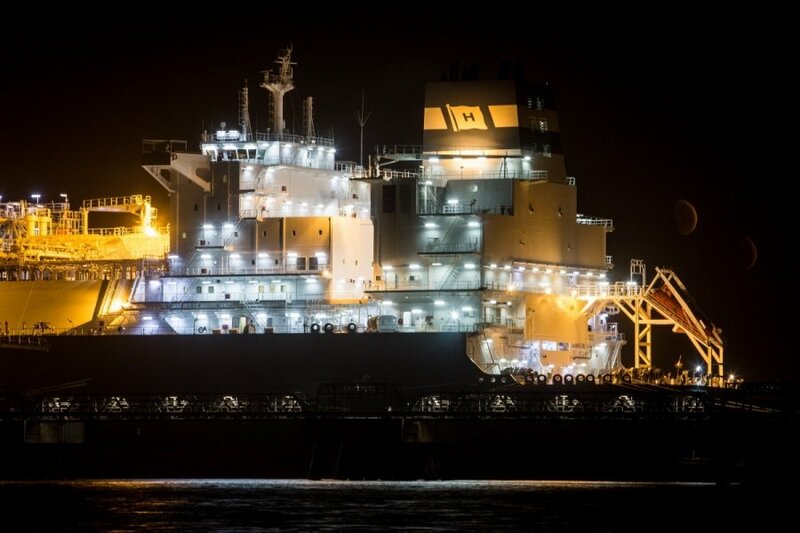 Lithuania has just welcomed the Independence, known shortly as an FSRU – a floating storage and regasification unit, to decipher the abbreviation. The ship received a royal welcome in the seaport of Klaipėda, with cameras rolling on national TV from wee hours until late afternoon and the cheerful heads-of-state as well as numerous guests touting the 290-meter “baby’s” delivery and making their pledges about her – and Lithuania’s – future. The buzz surrounding the arrival of the vessel was definitely akin to Lithuania’s celebrations after announcing the restoration of independence back in 1990. But the joy over the Independence has undeservedly put in the shadows some other great developments in the energy sector. The news on the construction works of LitPol, a Lithuanian-Polish power grid interconnector that will bridge the countries’ transmission to the Western European electricity network, which are nearly halfway finished, trickled modestly out before the headline-grabber, the Independence. Still, it was a nice warm-up before the bang. Against this backdrop, the announcement that Kaunas was set cooperate with Germans and start building a biofuel-fired CHP, a combined heat and power plant, went largely unnoticed. When the plant is finished, it will considerably cut Kaunas energy network‘s reliance on fossil fuel and the generation from Elektrėnai Power Plant. The latter has also gone through some far-reaching shake-ups in planning its operation after 2015, when the power interconnectors – the afore-mentioned LitPol Link – and NordBalt, a Lithuanian-Swedish electricity link, will be launched. With the power bridges working, electricity prices on the power Exchange Nord Pool Spot are expected to go down for Lithuania. Looking forward to that, the Lithuanian Power Plant has already announced it will be decommissioning its first and second units in 2015. Lithuania reasonably expects a stronger rollout of the potential from its renewable energy sources. Though the expansion of the country‘s solar sector is curbed with legislative caps on capacity, solar developers look eagerly forward to seeing amendments to the Renewable Energy Sources Law, enacting net-metering, passed. That would give a new boost for the solar potential. The huge potential of the country‘s wind power off the coast of the Baltic Sea can add up to 1,000 MW of capacity to the country‘s grid if wind power developers, who are ardently lobbying for the harnessing of off-shore power, are granted the right to do so. For some folks out there all the abbreviations and the technical specifications probably sound like gibberish. What should matter to all is Lithuania‘s hard-fought and finally earned energy indepedence and security, a variety of energy options and, hopefully for the consumer, a lower price. The Independence is definitely the crown the effort, and it is rewarding to see it panning out through tumultuous times and possiblly even harder times ahead with the standoff between Russia and the West still ongoing. The Independence certainly has delivered a big blow to the naysayers out there who questioned the necessity of the project and other energy initiatives. To use the words of Lithuanian President Dalia Grybauskaitė, “who put sticks in the wheels”. As the project opponents remained in the shadows during the celebratory ceremony, some of them, I reckon, needs to be reminded of. Like the politically-charged parliamentary commission, led by MP Artūras Skardžius, that sought to revise all energy projects started by the former, Conservatives-led government during 2008-2012. Before, according to Kubilius, the 2004-2008 Social Democratic government’s reluctance to transpose the EU’s third energy package – whose core element is the separation of energy companies’ sale operations from their transmission networks, a regulation highly disliked by Gazprom – could have derailled the LNG Terminal project. There have been many accusations, suspicions and, let‘s admit, fears sometimes, but Lithuania has pulled it off. With the exaltation accompanying the Independence, it is easy, however, to get high on the euphoria and sweep aside some important questions about the vessel. How will Klaipėdos Nafta, the company operating the floating storage and regasification unit and the terminal, seek increasing the volumes of LNG use? Can the liquefied natural gas from the facility be used in the Lithuanian Power Plant? If so, how would it affect electricity prices? What will happen if other suppliers, even a Lithuania-friendly Russia someday, will offer cheaper gas? And, finally, what is the price of the “baby”? Raising these and some other questions should not by any means be seen as putting “sticks in the wheels”. Could there be some irksome news in store once the questions are answered? But for now Lithuania is savouring the gourmet titbits of the latest energy news. It is something we have not done, ever.